The president’s daughter-in-law Lara Trump has been hosting  the video series  “Real News,” which includes guest interviews and campaign propaganda. The videos, which are posted on the president's Facebook page and carry “paid for by Donald J. Trump for president” disclaimers, ask viewers to sign up for mobile alerts from the campaign, a list-building activity that the 2020 campaign can use to raise money and organize get-out-the vote activities. 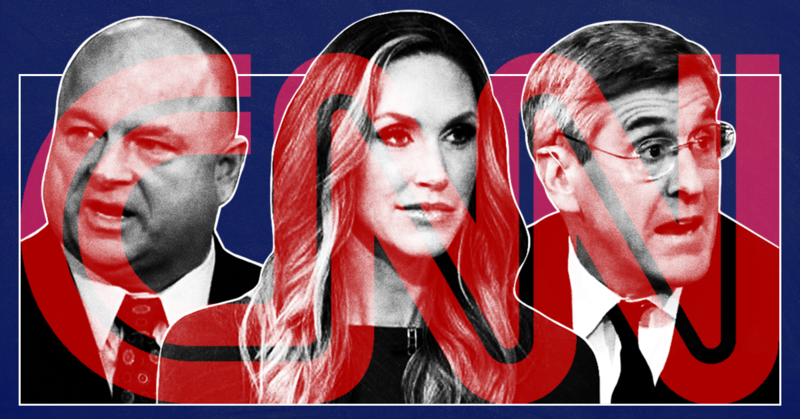 Regardless of Diamond and Silk’s employment classification, several Fox News contributors have appeared in Trump campaign videos with Lara Trump. They include Deneen  Borelli , Alveda  King , David Bossie , and Mike Huckabee . At the conclusion of the video, Lara Trump thanked  Urban for “the job you do every single day out there fighting for the president. You really do an incredible job, and we are so lucky to have you.” Urban responded by saying that he loves President Trump and relayed that people tell him, “You may not hear it on the mainstream media, but we really like” the president. Urban also appeared  in a June 2018 video and touted Trump ahead of the then-upcoming midterm elections. Stephen Moore is a senior economics analyst for CNN who advises  Trump (during a recent appearance, CNN described  Moore as “an informal White House adviser”). He has made  several  appearances  on Trump’s video program and promoted Trump’s economic message. Other media commentators who have appeared in the Trump campaign’s videos include Fox 5 DC host , Daily Caller video columnist, and Pizzagate conspiracy theorist  Stephanie Hamill ; Talking Point USA’s  Candace Owens ; conservative troll  Dinesh D’Souza ; and Trump sycophant  Bill Mitchell .